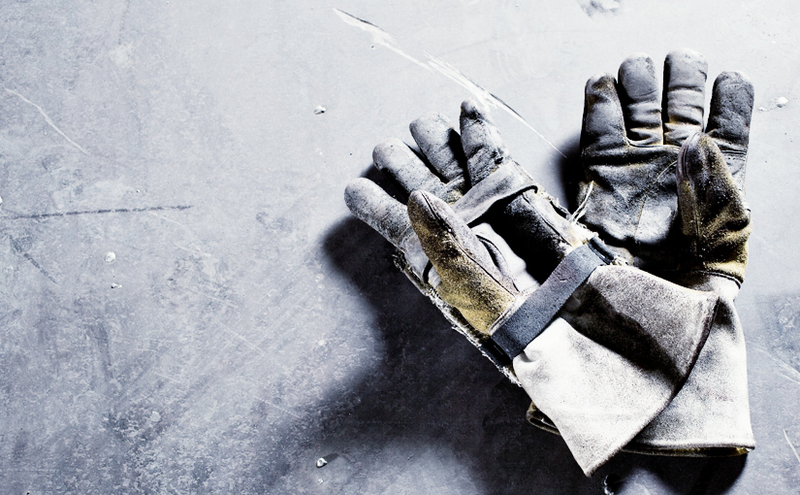 When it comes to dirty work, not all work gloves are created equal. Depending on what type of job you have within the manual labor or civic maintenance field, you’ll need top quality gloves with special features and materials that offer the appropriate level of protection. We’ve outlined which gloves perform best in which roles and have a few tips on how to find the right style and the right fit. Cut protection gloves are designed to provide protection from excessive abrasion and exposure to sharp objects. These types of protective gloves are categorized by a Cut Protection Performance Test (CPPT) and provide reinforced palm and 360-degree protection. The CPPT levels range from 0-5, but most people select gloves with level 2 or 3. CPPT Level 2 gloves are ideal for professionals in construction, auto repair, landscaping, power tools, assembly, and equipment handling. CPPT Level 3 gloves are ideal for professionals in rigging, pipefitting, oil field maintenance, heavy construction, demolition, manufacturing, mining and fabrication. Leading material technologies for cut protection include Kevlar® and Dyneema®. Kevlar® is a synthetic aramid fiber that provides a comfortable strength to weight ratio and is five times stronger than steel. Dyneema® is a made from ultra-high molecular weight polyethylene and is 15 times stronger than steel. Alycore™ is one of the most cut and puncture resistant materials out there and also offers a high level of flexibility. Impact protection gloves are designed to provide protection from excessive vibrations and stress to the hands. The glove structure focuses on reinforcing protection on the knuckles, the back of the hand and the fingertips. These types of protective gloves are ideal for professionals in construction, heavy equipment operation and metal fabricating. There are a variety of modern materials found in impact protection glove designs. Zoombang® technology uses a unique energy-dissipating polymer that stiffens in proportion to the energy applied. Clarino® synthetic leather provides the breathability of genuine leather but is lighter and three times stronger. Multi-purpose gloves are designed to provide protection from environmental factors, grip, dexterity, and often, high-visibility. These types of protective gloves come in a wide variety and are ideal for professionals in emergency response, law enforcement, lawn and tree services, road construction, railroad, airport, sanitation, municipal utilities, rigging, pipe fitting, oil field maintenance, heavy construction, demolition, manufacturing, mining and fabrication. Popular materials found in multi-purpose gloves include nylon, foam, terry cloth, silicone and TPR (Thermoplastic Rubber). Common features include multi-layer construction, adjustable wrist, insulated styles, thermal protection, high-visibility and silicone grip. Some gloves even build copper fibers into the fingertips to make them touch-screen friendly. With so many styles and materials available, the options can be overwhelming. Especially when it comes to buying multi-purpose gloves, it’s important to consider how much strength and give you need in order to make the right choice. Start by deciding which feature is most important to you: durability or flexibility. If durability is more important, narrow down your selection to top quality gloves with a basic exoskeleton, then search for features that provide added comfort like “breathable fourchettes”, “mesh padding” and “vented finger side panel”. If flexibility is more important, choose a non-exoskeleton style with added features like “palm and fingertips dipped”, “shell”, “coated” and “foam padding”. If your gloves have adjustable wrist bands, make sure you pull them snug enough to prevent any material or debris from getting in, but loose enough that you don’t cut off circulation. If you can force one pinky finger between your wrist and the band, you’re good to go.